Stone Town should not be missed if coming to Zanzibar. This UNESCO World Heritage Site is a mysterious, exciting and soulful place where people live their lives on display. In Stone Town Africa meets the Omani empire spiced up with Indian influences. 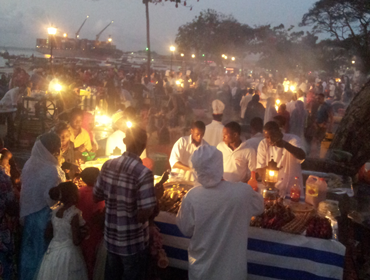 The different cultures adds flavor and color to the old town lined with the turquoise Indian Ocean. The small town is vivid and in the winding alleys the residents cook, play the traditional board game bao, feed their chickens or just socializes. Here you can sit for hours and just observe – or perhaps participate in the game with the kids. The city is packed with history from the slave and spice trade, but we have developed a guided tour that focuses on how life is lived today and the best of culture, history and architecture. Have a coffee in Zanzibar Coffee House, which grows its own beans in mainland and roast in the café. The coffee for sure is served with a big smile. 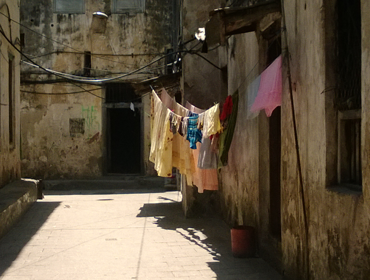 Take a guided tour and discover how residents live their lives in Stone Town. Cook lunch with Muuna and family and gain insight into a Zanzibarian family’s life. Visit Mrembo SPA for a workshop, a traditional beauty treatment or enjoy a spice tea with traditional to taraab music. Stray around in the alleys and look at all the wonderful carved typical Zanzibar doors. Dine at House of Spices– wonderful environment. Amazing food. Brilliant staff. Check out the rooms! Walk around Darajani Market and negotiate, buy and test the exotic fruits in season. And bring home spices. Buy a traditional kanga as a gift to bring home to loved ones.